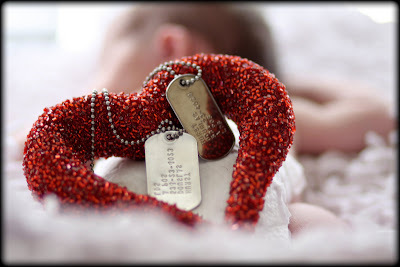 April Lambert Photography: Kristi and Baby "P"
This baby's dad is serving in Iraq. When these photo's were taken, he had never seen the baby in person...only in photo's. One of my favorites is the one with the dog tags. Kind of artsy, huh? I showed 2 different versions of it so you could see some different editing techniques.